China’s new carbon intensity target for manufacturers will speed up the decarbonisation of the economy and puts the world’s biggest-emitting nation on track to peak its greenhouse gas emissions by 2025, analysts say. The State Council, China’s cabinet, earlier this week released a new 10-year action plan for its manufacturing industries, which included a target to cut CO2 intensity by 40% from 2015 levels by 2025. “The target requires industry to reduce its carbon intensity by 5% per year, which is higher than historical reduction rates, so it accelerates the process to decarbonise the economy,” said Chai Hongliang, a China carbon analyst at Thomson Reuters Point Carbon. Over the past five years, China’s economy as a whole has reduced its carbon intensity by 3-4% annually on average. However, due to the rapid economic growth absolute emissions have continued to rise. 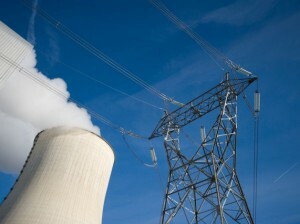 With the new industrial carbon target and the recent drop in coal consumption, that might be about to change, according to Sophie Lu, a Beijing-based analyst with Bloomberg New Energy Finance. “China could achieve a 15% absolute reduction of carbon emissions from the secondary industry if it achieves its 2025 carbon intensity target,” she said. The calculation was based on an estimate that China’s economy would grow by around 6% annually over the next decade, that about one third of carbon emissions come from non-power sector industry, and that the country achieves its goal of reducing industry’s share of GDP. “Carbon emissions from power generation accounts for another 50% of China’s current carbon emissions. BNEF forecasts that China’s power sector emissions will likely peak before 2025,” Lu told Carbon Pulse. Given that the power and industry sectors account for around 80% of China’s total GHG emissions, that would put China on track to peak its GHG emissions well before 2030, as pledged by President Xi Jinping in last year’s climate treaty with the United States. Questions still remain over what will happen to emissions in sectors such as transport and agriculture, and Lu also pointed out that the industrial target – which was only referred to in a table with no accompanying definitions – needs to be more clearly defined. The release of the target, although only a minor part of China’s overall manufacturing strategy, took on particular significance as it came just ahead of China’s submission of its INDC, expected in June. Beyond last year’s Xi-Obama agreement, which set a latest peak year for Chinese emissions but mentioned nothing about which level they would peak on, China has been careful to avoid making public statements about what it might commit to internationally for the post-2020 period. Given the government’s tendency to tone down international pledges, most climate policy observers in Beijing expect the INDC pledge to be based on intensity targets, despite local media already in 2013 revealing early drafts of the 2016-2020 five-year plan where the NDRC proposed an absolute cap on CO2 emissions from 2016. “I do think this is potentially important as this is the first preview of China’s carbon intensity reduction for the post-2020 period, even if it is only sectoral for now as opposed to economy-wide,” said Li Shuo, an expert on climate change policy and the UN process at Greenpeace. “Given that China’s INDC will be submitted in a few weeks from now, I would assume the targets presented in the ‘Made in China 2025’ plan will be in line with the INDC,” he told Carbon Pulse. Using the industry target as a measure stick for what might be in the INDC, it should also be kept in mind that manufacturing usually gets tougher CO2 targets than the economy as a whole. In the current five-year plan, China aims for a 17% cut in carbon intensity in 2015, compared to 2010 levels, while industry’s goal is a 21% reduction. This is due to a number of factors, including a government attempt to shift GDP reliance away from energy-intensive, resource-heavy manufacturing and the nation’s rampant air pollution problems. The government has for several years shut down outdated production facilities, and has instructed banks to restrict lending to sectors with a great deal of over-capacity, such as cement, iron and steel. “Transforming industry is central to China’s plans to develop an economy whose growth is driven increasingly by productivity improvements and innovation and decreasingly by fixed asset investment,” said Fergus Green, an analyst at LSE’s Grantham Research Institute. “It is therefore in China’s economic interests to be reducing lending to these sectors and instead allocating capital toward more innovative, and higher value-added manufacturing sectors. The new, more innovative manufacturing industries whose development China is nurturing tend to have much lower emissions-intensity,” he said.